On this episode Jim and Greg give their annual South By Southwest reports. Our hosts head down to Austin, TX every year to check out new bands and learn about what's happening on the business end of things. While most folks spend their days frolicking at outdoor parties, Jim and Greg go from conference room to conference room to hear about industry trends. One panel Jim attended focused on the state of independent labels. He was struck by the suggestion that indie labels might have to sign artists to deals similar to corporate 360 deals in order to survive. Greg understands why artists who aren't at a Radiohead level might want a small support system to get their music made and heard. Another buzzword at this year's festival is the "darknet," which refers to a looming state where data is shared in a closed, unregulated virtual market. Greg describes how industry analysts are looking at the digital music business and see implications beyond the industry. To them, the future of democracy is at stake! While many SXSW attendees fret about product distribution, Jim and Greg attended a discussion dedicated to one single release: The Neil Young box set. Fans have anxiously been awaiting such a collection, and this summer they‘ll not only get Young’s music, but the capability to dive into Young's archive and future archive. Of course, it's not all work at the SXSW Music Festival. Jim and Greg check out as much new music as they can. And with more than 1800 bands playing during the four-day affair, they had a lot to choose from. Now they've returned home with some new favorites for you to check out. Annie Clark, aka St. Vincent, is back with her 5th studio album MASSEDUCTION. St. Vincent has carved out a unique presence as an electronic pop singer-songwriter and teams up with Taylor Swift and Lorde collaborator and producer Jack Antonoff. So what do Jim and Greg think? Jim and Greg disagree hugely on this record. Jim finds the lyrics and melodies to be“schlocky”and too“Broadway.”He admits that St. Vincent isn‘t really his cup of tea and just can’t enjoy the record. Jim gives it a Trash It. Greg on the other hand, genuinely loves this record. He calls it St. Vincent's most personal record to date for being lyrically and vocally emotional and expressive. Greg doesn't hesitate to give MASSEDUCTION a Buy It. 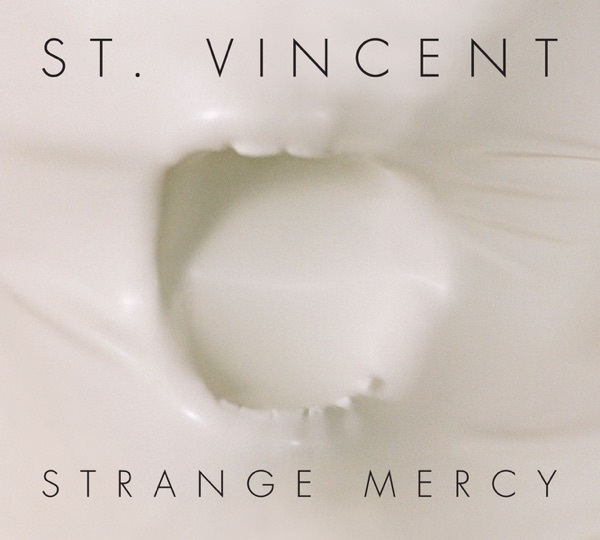 St. Vincent has a new album out called Strange Mercy. 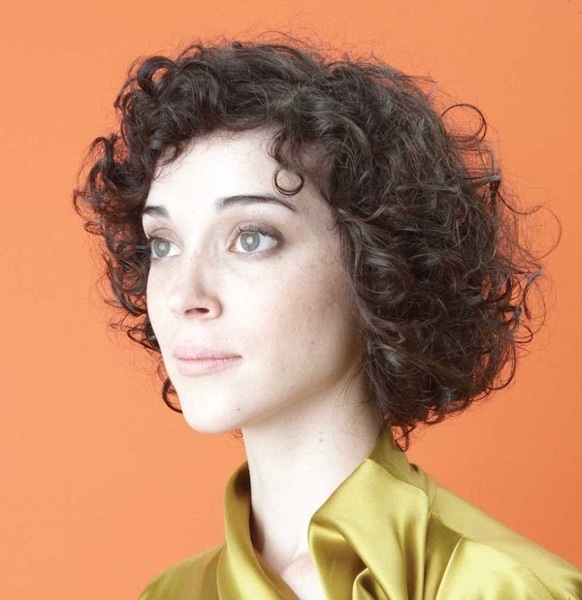 The singer, songwriter and multi-instrumentalist, also known as Annie Clark, visited Sound Opinions upon the release of her second album Actor. That ended up Greg's top album of 2009. He's equally impressed with this effort, noting that she's blowing out the dynamics mix to a greater degree. The same goes for her guitar playing, which is at times unrecognizable. He loves the layers and the complicated storytelling and gives the record a Buy It. Jim couldn‘t disagree more. He admits St. Vincent is unique and talented, but totally doesn’t buy“the schtick.”He finds her characters inauthentic and pretentious and says Trash It. One of Greg's favorite acts at this year's SXSW was St. Vincent, also known as Annie Clark. After performing with the Polyphonic Spree and Sufjan Stevens, she's released her 2nd solo album Actor. Greg finds this sophomore effort to be a big step up. Clark wrote and produced the material all on her own, and the arrangements blow Greg away. He thinks it's one of the year's best records so far. Jim agrees, noting that while Clark may look like a Disney heroine, her songs are full of dark, subversive images. Actor gets a double Buy It. Lists are just too much fun to do them only once a year. Here are Jim and Greg's mid-year best album lists. A message from Jim: The following, LISTED IN NO PARTICULAR ORDER, is my tally of albums mid-year in 2009 that have all warranted 3.5 stars or more on the Chicago Sun-Times‘ 4-star ratings scale (making them all very enthusiastic“buy its”on the“Sound Opinions”scale). I will mention that these are in no particular order (sorry, but that’s reserved for the year-end list), that this list is not all-inclusive (I will no doubt catch up with quite a few discs released earlier in the year by the time I tally the year-end list) and, also, because this always confuses people, THESE ARE IN NO PARTICULAR ORDER. Yet. But they're all really, really, really good albums. Jim and Greg share some of their favorite Live Sound Opinions performances. Jason Isbell, "White Man's World"
Check out Jim's complete list. Jim and Greg welcome some guest listener critics to share their #1 albums of the year. Once again, it's time for the Rock Doctors to put on their white coats and stethoscopes. During this appointment, Jim and Greg attempt to mend a broken heart with some great new tunes. Their patient is Sandy from Chicago. She's recently divorced after 17 years of marriage. She wrote Sound Opinions saying it“was an eye-opening and heartbreaking experience.”Sandy is now in her early 50s and feels like she“lost or squandered her youth.”The doctors' job is to help her awaken her musical self. Sandy was completely open to new genres of music but tends to favor classic rock. Some of her favorite artists include Led Zeppelin, Heart and Van Halen, however she also enjoys more eclectic artists like St. Vincent and tUnE-yArDs. While she is a consultant by day, she has a background in acting and singing opera. Sandy is looking for music that will make her feel a sense of exhilaration like she does when she's performing and making art. Jim's prescription is the album Show Us Your Mind from Portland's Summer Cannibals, while Greg recommended Fantasies by Canadian rock band Metric. During their follow-up appointment, Sandy shared that she really enjoyed both records. She liked the strong voices of the female lead singers as well as the instrumentation. Greg and Jim decide that Sandy might be the nicest patient the Rock Doctors have ever treated and are glad to have helped her. Do you need to see the Rock Doctors? Or know someone who does? Fill out new patient form and send to interact@soundopinions.org.